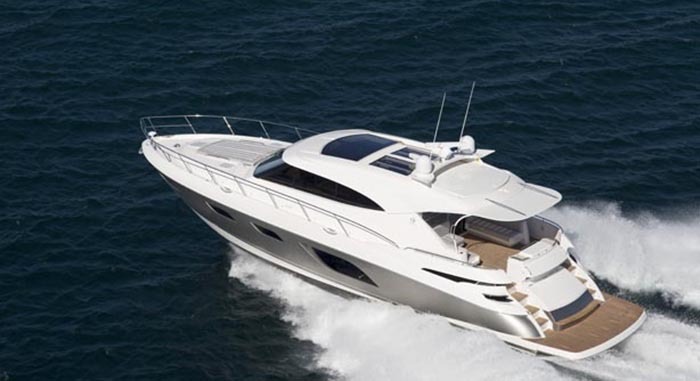 Riviera’s stylish and sophisticated 6000 Sport Yacht heralds an exciting new era for luxury on-water entertaining. This opulent flagship of our Sport Yacht fleet is supremely comfortable with its clever and convenient alfresco lifestyle concepts, ultramodern technology and palatial appointments – indeed it is a highperformance vessel akin to a floating six-star resort. 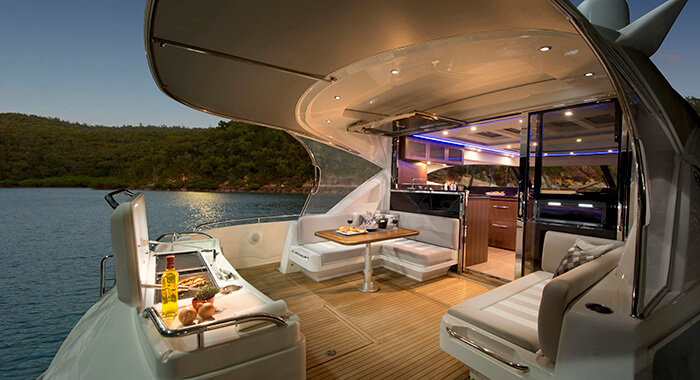 Stepping from the large hydraulic swim platform through either of the wide transom side gates and into the expansive teak-laid cockpit of the 6000, you’ll immediately appreciate the evolution of the luxury indoor/ outdoor character for which our Sport Yacht series is internationally renowned. The 6000’s curvaceous fibreglass hardtop provides shelter and shade from the extremities, and houses the cockpit’s own electric sliding sunroof which brings extra sunlight and fresh air into the alfresco area when desired. An L-shaped lounge/dining area to port comfortably seats six people, and a teak table lowers to create a large daybed. The 6000 Sport Yacht’s enriched sense of light, space and liveability is also evident in the atrium as you step below deck from the saloon, courtesy of the wide windscreen, extremely generous headroom and ultramodern technology that you’d expect from a Riviera. The exquisite satin walnut interior joinery throughout the 6000SY is hand-finished by Riviera’s varnish master craftsmen. Other timber options are gloss walnut, gloss teak, gloss cherry and gloss beach. The 6000 Sport Yacht has full auto-pilot, auto-trim, Dynamic Positioning System (DPS) for station-holding while preparing lines and fenders or waiting off a fuel jetty, as well as Anti-Corrosion Protection (ACP). There’s also the option to upgrade to the innovative Volvo Penta Glass Cockpit system which offers full joystick control whilst steering and further raises the bar in terms of centralised control of navigation equipment, engine and alarms. The 6000 Sport Yacht also has an additional pop-up joystick to port in the cockpit to aid precise docking. For the 6000 Sport Yacht, Riviera has employed the revolutionary Volvo Penta propulsion system with twin IPS2 950 (533kW /2 x 725hp) pod drives which, in addition to superior handling and manoeuvring in tight situations, also offer impressive fuel efficiency, low noise levels, long cruising range and a high top-end speed. 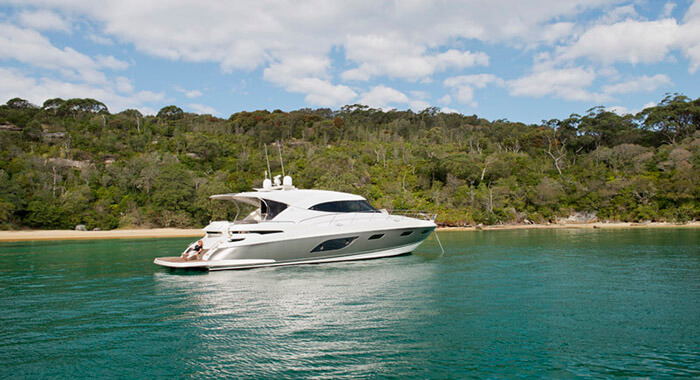 State-of-the-art technology also encompasses the 6000’s maintenance-free battery banks charging system via the engines, the Mastervolt charging and inverter system and self-monitoring Cummins Onan generator, network capabilities and diagnostics providing peace of mind at sea. 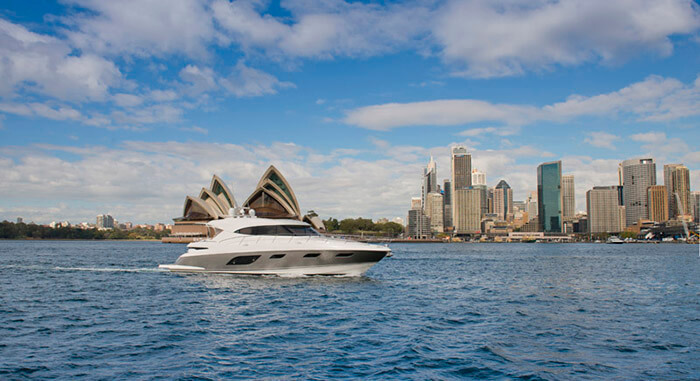 All this, combined , while the practical design concepts result in quick accessibility to key maintenance points throughout the entire boat, thus increasing reliability, reducing future servicing costs and confirming the Riviera 6000 Sport Yacht genuinely is in a class all of its own.